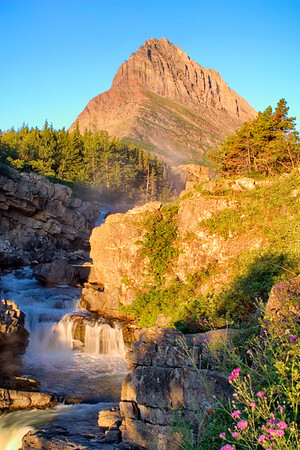 This is one of my favorite early morning photo locations in Glacier National Park. After capturing the reflection of Mt. Wilbur in Swift Current Lake, I like to check out this canyon which is nicely lit.